One of the biggest stories coming out of UFC 235 was an extremely controversial call made by referee Herb Dean to stop the contest between Ben Askren and Robbie Lawler. While Askren was applying a bulldog choke, it appeared to Dean that Lawler had gone unconscious, so he stopped the fight. Immediately, Lawler protested, stating he was fine, and had given the thumbs up to Herb when the referee checked his arm. 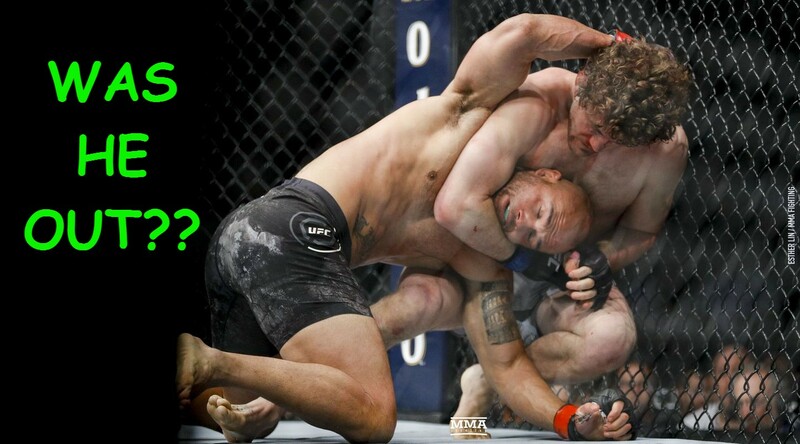 Ben Askren has since gone on to say that he does not believe the call was controversial, and that Lawler may have woken right back up, but was momentarily unconscious. He went on MMAFighting’s The MMA Hour to talk with Luke Thomas about the incident. “I crush watermelons,” Askren said, referencing his grip strength, “You’re not getting me off man.” This statement is backed up by a video that has been circulating of him crushing two watermelons at the same time with his squeeze. So was this a bad stoppage after all? Should the rematch happen? Let us know your thoughts!